When you replace traditional arenas for the depths of space and swap out colourful characters for massive capital ships manned by crews of 5,000, suddenly the term "MOBA" feels somehow inadequate. Yet that's what Fractured Space is. 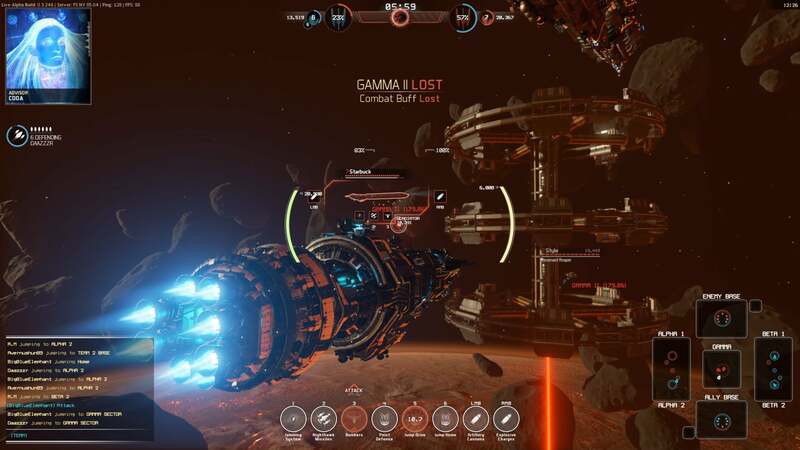 A giant spaceship MOBA. Launched out of Early Access today on Steam, Fractured Space is a free-to-play multiplayer online battle arena game. The arena is space, and the spaceships are massive. These are capitol ships that take thousands of people to operate — thousands of people that die horrible every time you lose a ship to the enemy. 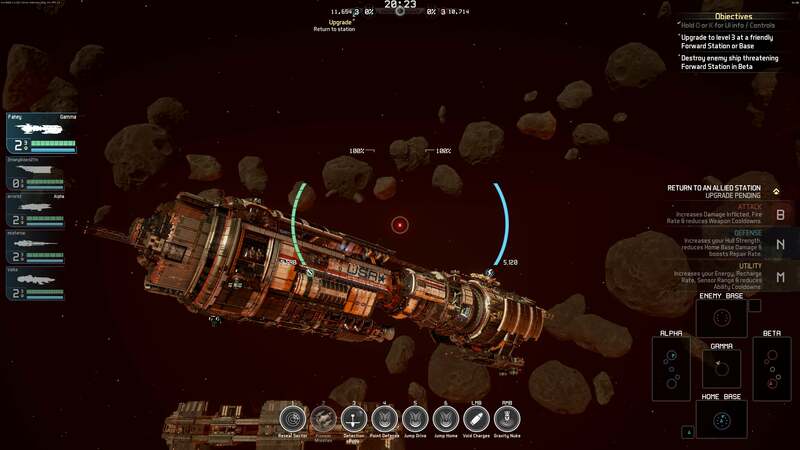 Instead of pushing lanes, players commanding ships designed to function somewhat akin to traditional combat archetypes battle in sectors of bases and resource-granting mining operations. The idea is to push from one side to the other, where the enemy's forward camp allows for teleportation to and destruction of their base. Again, MOBA. But it doesn't look like a MOBA or feel like a MOBA. With its focus on directional shields and relatively show speed of these lumbering space behemoths, it almost feels like I'm playing the old Star Fleet Battles game, only it's much prettier and my head doesn't hurt. Fractured Space by Edge Case Games is currently available for free on Steam, with plenty of massive spaceships and such to purchase. If you're into space games but not MOBAs, try it. You might be into this one. Tried it, wanted to like it. Could not due to latency. OCE server up yet? Yeah this was my biggest issue with it, I did really enjoy it though, but that latency very annoying.